Echo connects people using the power of the human voice. 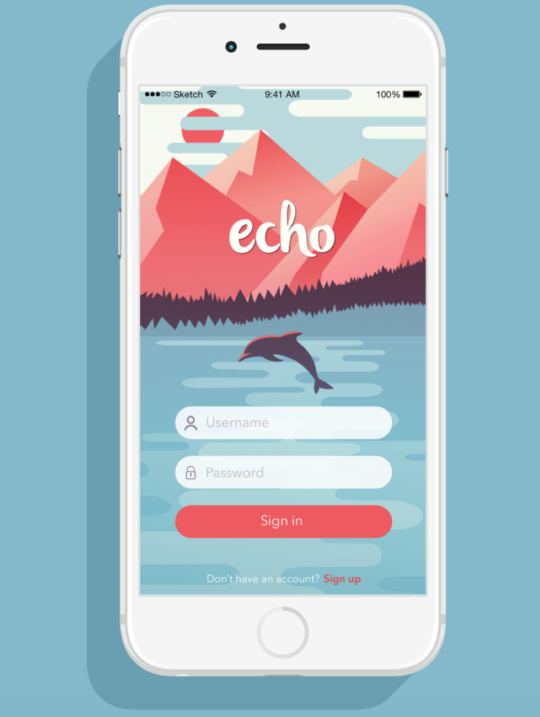 Users anonymously upload short voice recordings of their thoughts, opinions or stories that the Echo community can then interact with through comments or direct instant messaging conversations. Echo is based on research. Under the advisement of Dan Ariely, we have been conducting an experiment to test factors that can be implemented into a virtual mobile environment to create the most meaningful conversations. The data were collected in 2015 in labs at the Interdisciplinary Behavioral Research Center at Duke’s Social Science Research Institute and study rooms in the student library on Duke’s main campus with additional funding from Duke Undergraduate Research Support. We are working with Dorothy Feng to create the first iteration of design for our application - Check them out below! Elizabeth is currently working on UI/UX testing and research. Ying is working developing the iOS application. Currently we support voice uploading and sharing between multiple users. We are currently working on structuring user information using Google Firebase and developing frontend features. If you are interested in testing our beta version or learning more about our project, feel free to email ying.qi@duke.edu.